Woodford Car Hire has worked tirelessly over the past 25 years to establish itself not only as South Africa's largest independent car hire company, but also as a trusted and recognisable brand that our valued customers and clients feel a connection to. There's no secret to our approach. We've always taken the decision to distinguish ourselves from both our larger and smaller competitors by constantly innovating, improving and committing Woodford to giving customers more. We've upgraded technology and invested in infrastructure that is able to track and monitor vehicles with a fully-fledged in-house team. 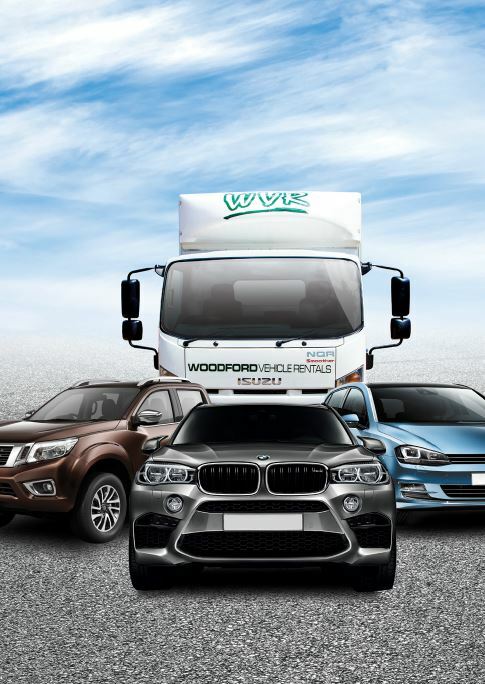 We've built a fleet that features the widest range of vehicles at competitive rates. We've tried to keep up with customer trends and satisfaction levels, so we know whether we're going in the right direction. Woodford has also seen the benefit of investing in and backing its people and partners. We've enjoyed extremely low turnover of staff at the company the majority of employees having been with the various branches across the country for 5 years or more. Woodford Car Hire began at Woodford Grove in the heart of Durban, and despite expansions, we've chosen to have both our head office and commercial division based here. KwaZulu-Natal and the people we have here have built the platform from which we have been able to grow and Woodford will never forget that. Woodford Car Hire is always moving forward, and we've recognised that service excellence and trust in our brand is what has allowed us to progress as a company. We'll continue to move forward and will always offer services that fulfil our clients' needs and move them forward as well. As a homegrown, Durban-based brand, we're extremely humbled and honoured to have been nominated as one of KwaZulu-Natal's top brands . Woodford Car hire's vision is to realise its full potential of being the largest independent car hire company in South Africa, build on the lessons learned in becoming that, and serving as a viable and serious competitor to the four largest rental companies in the country. Woodford Car Hire has a few tips for keeping your road trip budgets down and bank balances up. Woodford Car Hire has been running its "Winning with Woodford"